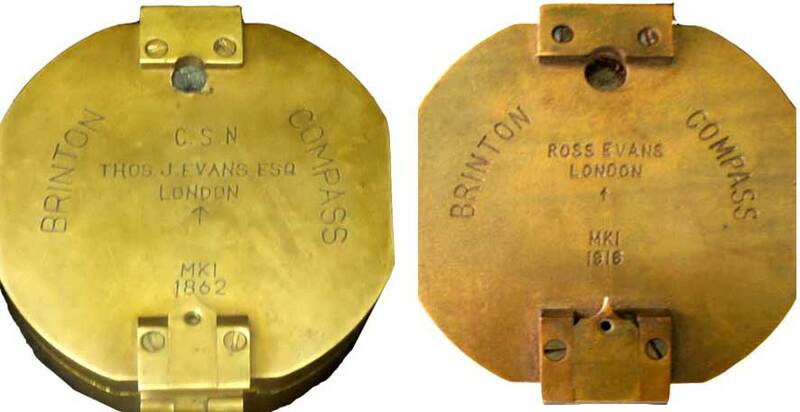 One of the most common fake compass is an imitation of the Brunton Pocket Transit compass renamed Brinton (at left) or Bronton (below). They feature fancy engravings like famous makers' names and dates (the patent was filed in 1894) and a tiny arrow but not the genuine one (crow-foot), symbol of the British Army. They are manufactured in India or Pakistan. Another one is the T.G. Co. Ltd London Mark III compass (see these entries). 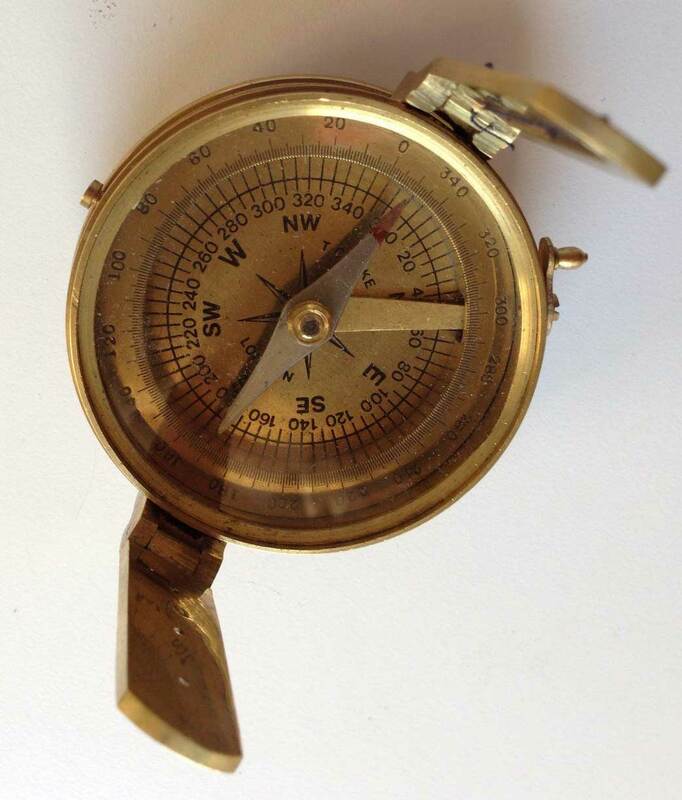 Very poor reproduction currently made in India of the famous prismatic marching compass Mark III (MKIII) produced among many others by this manufacturer (compare with T.G. 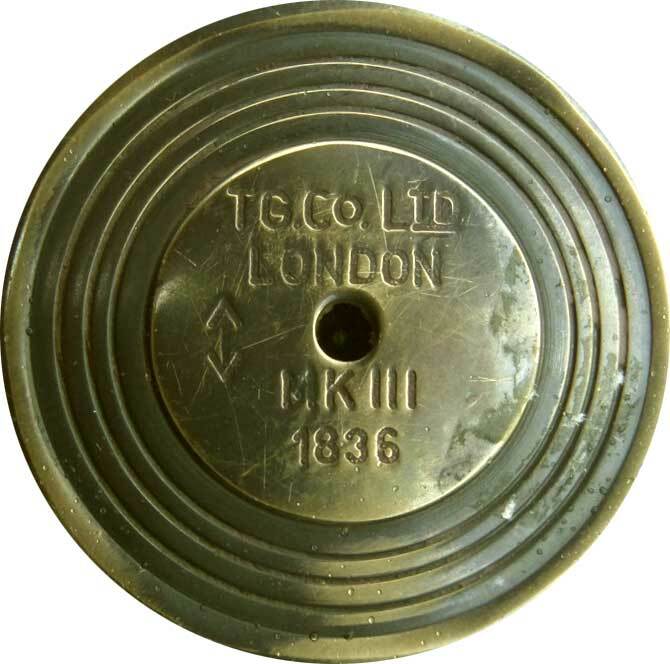 Co. Ltd. London's original instrument). 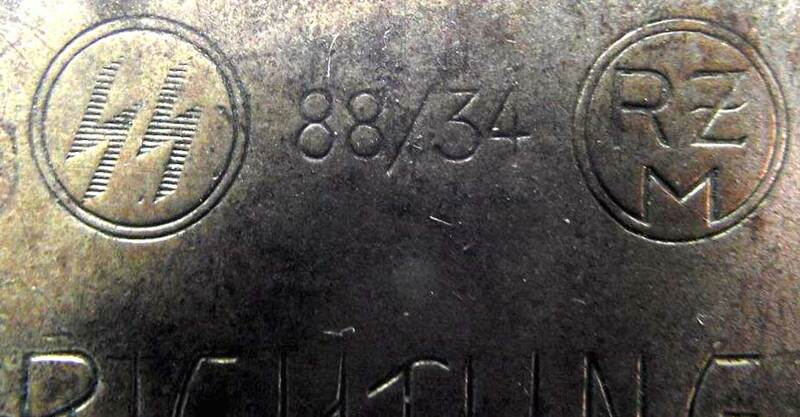 The year number punched on the rear face (1941) has no significance at all. - The bracket designed to protect the glass window was made to look older by artificial means and is covered with a glossy varnish. - The side screw (marching course or bearing setting) is not made of a single element but consists of a threaded rod and a nut. - There are absolutely no luminous devices or markings on the card or the case. 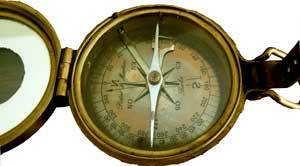 The compass card is not made of mother of pearl and doesn't reflect light. - The British Army's crowfoot-shaped arrow has not the official form, even if one considers, that the maker has wanted to represent two arrows punched opposite to each other as it was the rule when materiel was decommissioned. But then, the arrows would face each other and would build a 6-branched star. - The abbreviated manufacturer's name is written without dots on some items. - The capsule contains no liquid and is not designed for this purpose. 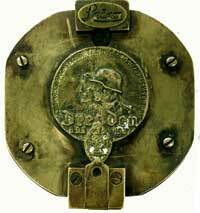 - The bezel has no securing ring and falls off when turned upside down. 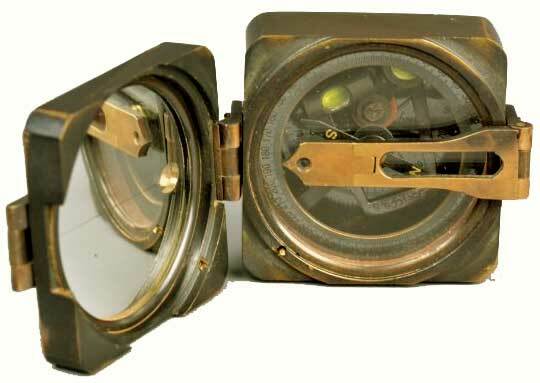 - The sighting window in the lid is also unsecured (glued) and falls easily off (see pict. below). Both versions feature the same fancy data. Absolute nonsense is a version dated 1836 ! - large: 12 oz./375 grs. 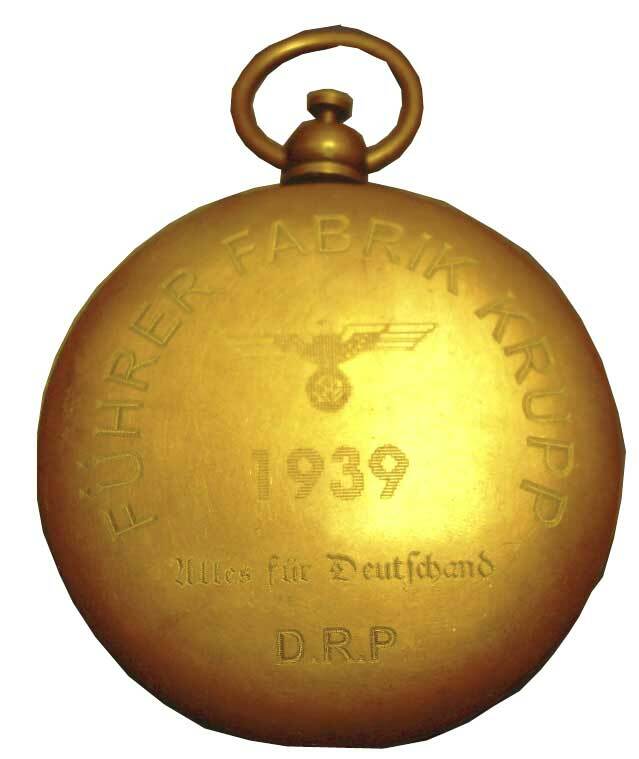 A version with nazi symbols (Führer Fabrik Krupp) exists also and is displayed below. 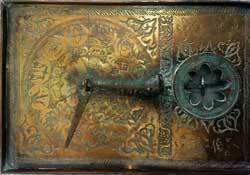 This instrument looks like a rather well imitated item but it could be genuine. 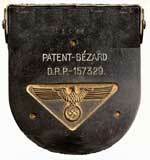 In this case it's a rare prototype or unfinished or exagerately cleaned case. 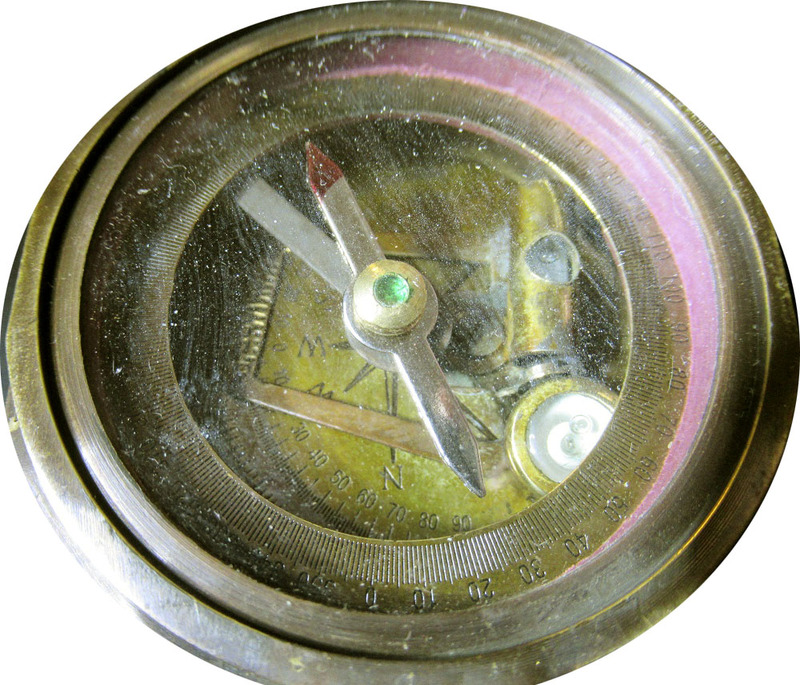 This object is a coarse modern imitation of the survey compasses made by Thomas COOKE & Sons in the early 20th c. (read the relevant entry). 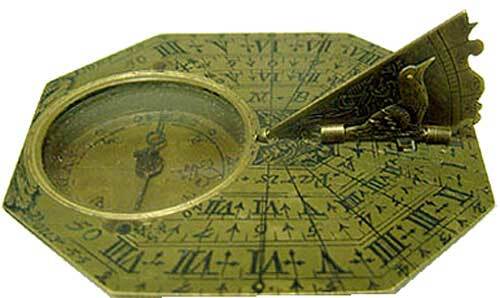 The genuine instruments featured a sturdy bar-shaped needle and not a flat needle. 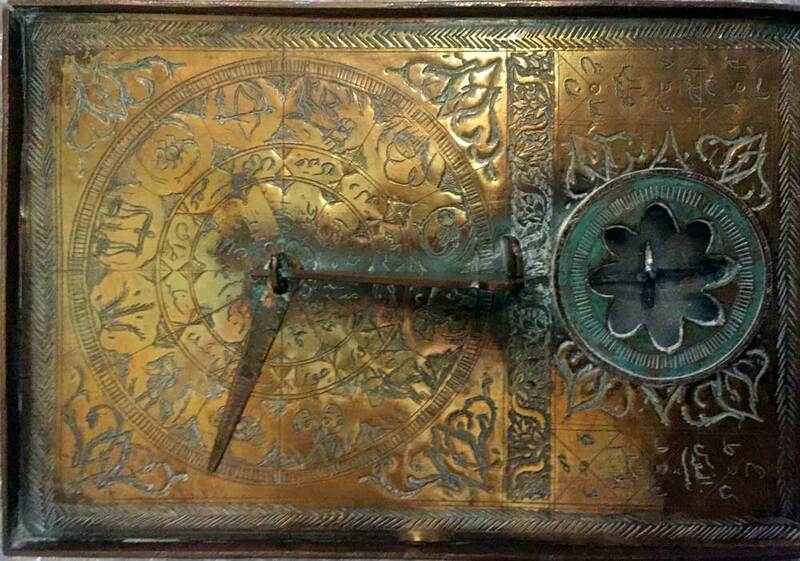 This item (made in India?) 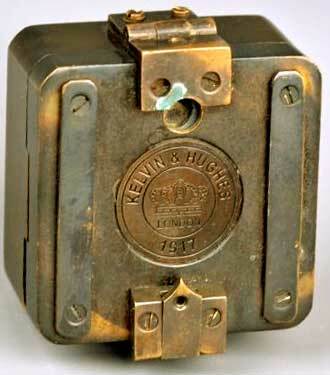 bears the name of the famous manufacturer KELVIN-HUGHES but written with a "typo" (HUGES) and a fancy date (1918). 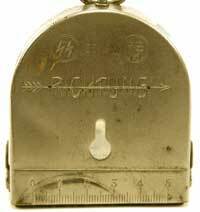 This item (probably made in India) bears the name of the famous German scientist and manufacturer Karl Philipp Heinrich PISTOR (1778-1847) and of his associate and son-in-law MARTINS (read the full story in Wikipedia's German version). 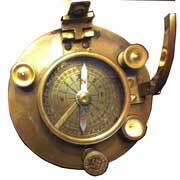 They mostly made telescopes and survey materiel but in those years no compass like this one existed. 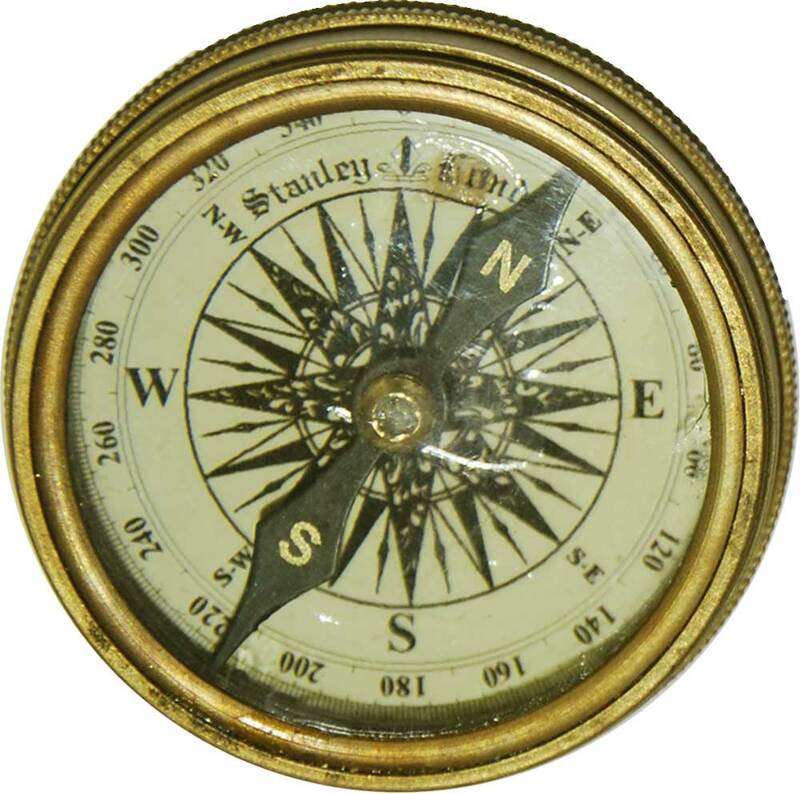 The type of letters used in the name and city (Berlin) is identical to the ones in the modern STANLEY LONDON replicas of compasses (see BRUNTON). 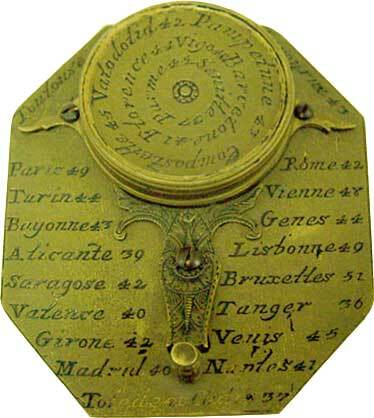 Moreover, the letters for the cardinal points are engraved inverted but not the figures (excepted the clinometer) and the compass features no prism. 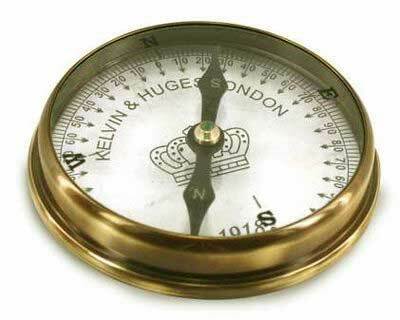 The circular mirror in the lid would be an explanation but the scale doesn't rotate - what makes no sense at all ! The cardinals are written in a roman language (O and E for West and East in French for instance). 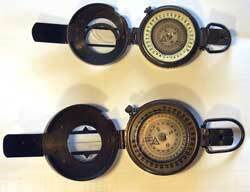 Their arrangement is identical to the italian marching compass made by CEV. 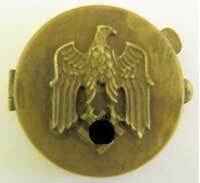 DISCLAIMER - Some objects or documents in this museum are witnesses and parts of Germany's History. We have decided in favour of an uncensored exhibition. 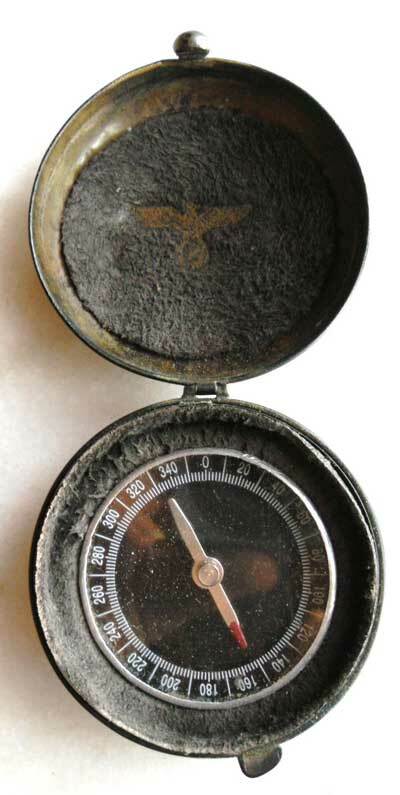 We frequently receive questions concerning compasses with symbols of nationa-socialost (nazi) Germany, typically an eagle and the cross called swaztika. 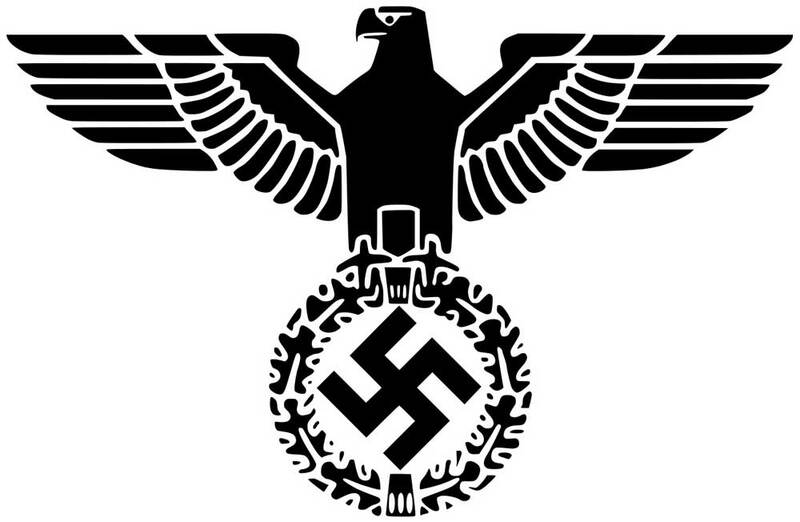 On some items, the eagle has fancy feathers and doesn't resemble the official Third Reich's heraldic eagle. On this Bézard-type compass (image at left), the eagle has no legs contrary to all official designs (see also example at right). However, the head turned to the left is ok. Animals on coat of arms always look to their right except when placed on the right-hand side of vehicles (to avoid depicting them looking backwards!) or on the right-hand breast pocket of uniforms. The website Forum Axis History gives a detailed explanation why a certain compasss (see pics below) is a gross fake. 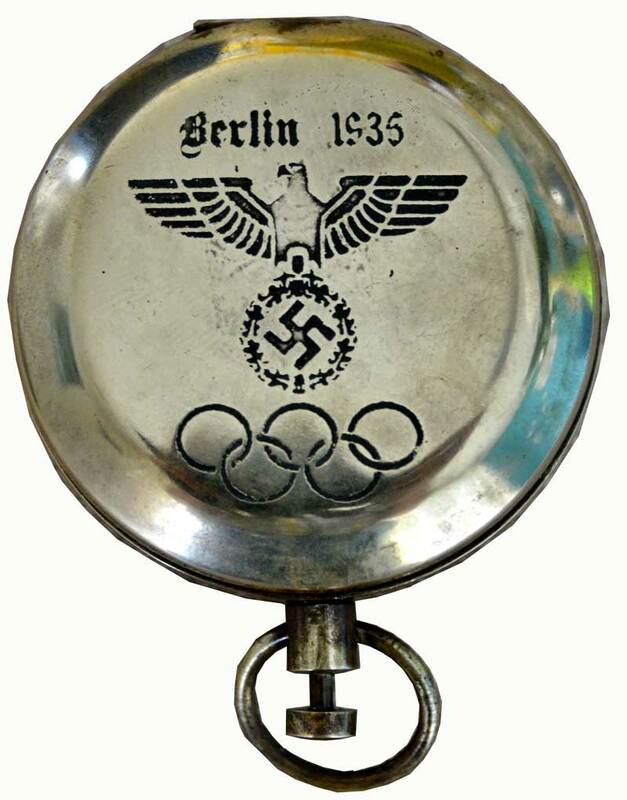 Even the famous words Alles für Deutschland (link to pic of a SS knife) menaing 'everything for Germany' contain a typo: the letter 'L' is missing in the word DEUTSCHLAND. All these items are worthless. 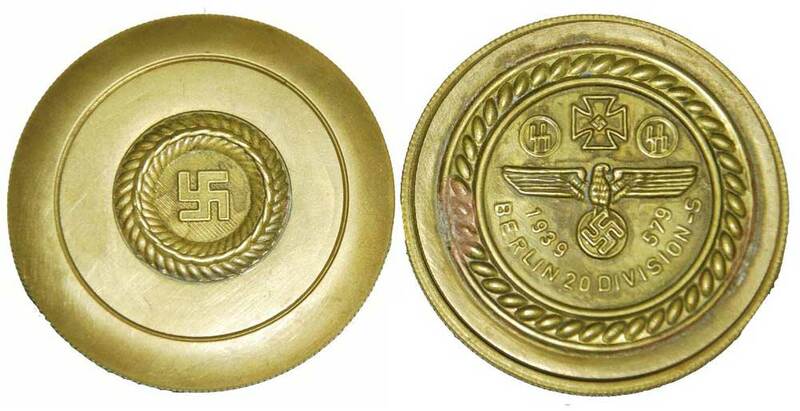 The nazi symbols were only utilized on stamps and official documents, on uniforms and flags and for aircraft identification but never on tools and instruments. 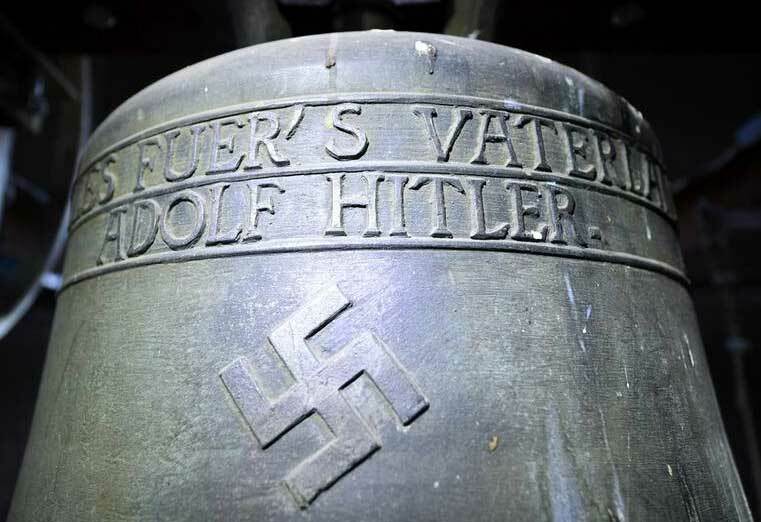 These words are to be seen on a bell hanging in Herxheim's church (© Uwe Anspach/DPA). 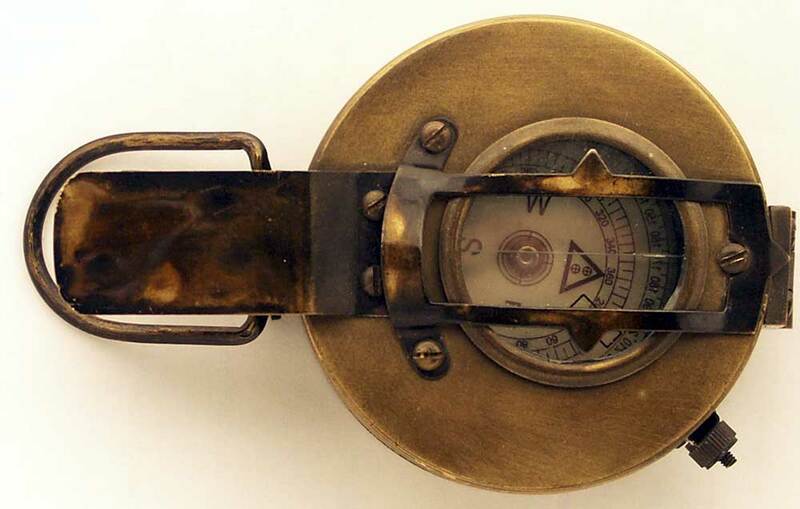 For the rest, only ship compasses of the Kriegsmarine bore the state's symbols. So please, save your money or make a donation to COMPASSIPEDIA. 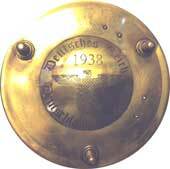 On this Bézard compass, besides the Word RICHTUNG (DIRECTION) numbers (88/34) and two symbols are engraved: the famous lightning-shaped SS at left and the abbreviation RZM (for Reichszeugmeisterei or Quartermaster Office) at right. 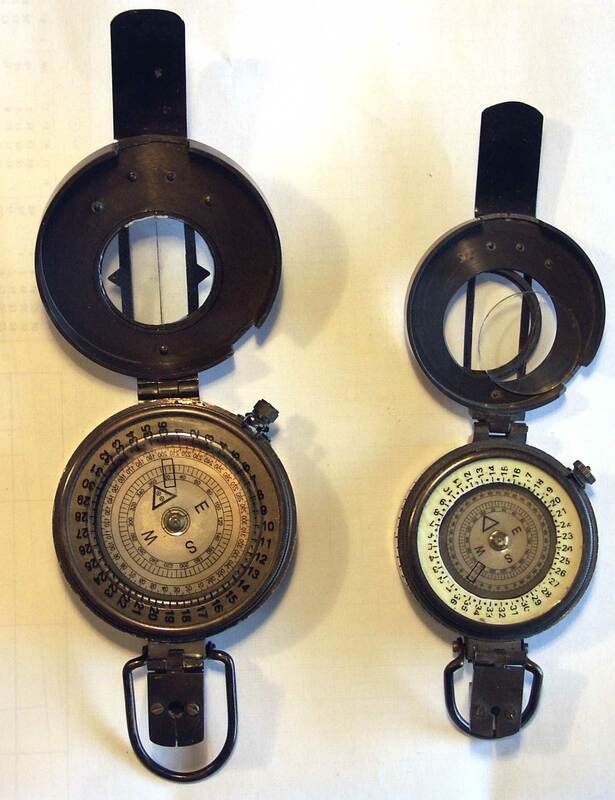 The standard Marching compasses issued to the soldiers during the IIIrd Reich and WWII were not Bézard-type compasses but the models displayed in the entries Breithaupt and Busch. 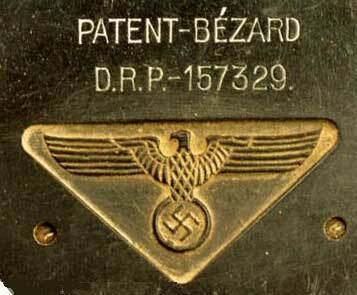 The RZM was responsible for all official items like uniform designs, knives etc.) 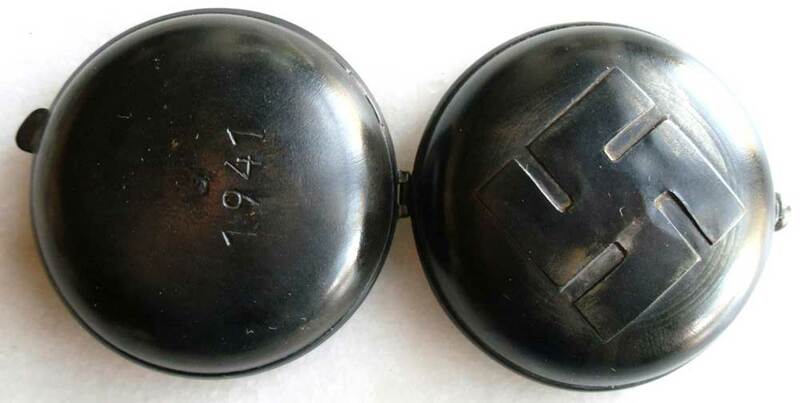 but all pieces of equipment had to be labelled with a visible RZM copyright protection symbol and a product-assigned RZM number that contained encoded data about the industrial branch, material group, manufacturer code and year of production. 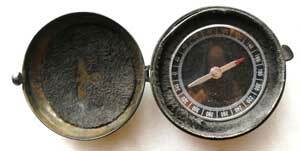 Dial signed STANLEY LONDON in gothic letters. This item is supposed to be a German NAZI-time compass but the cardinals are in English. 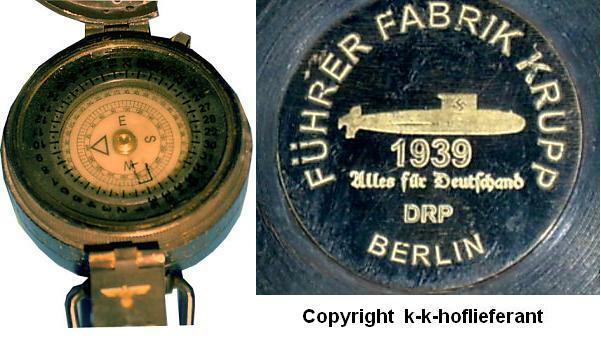 Such a compass never existed during the IIIrd Reich: it's pure modern invention. 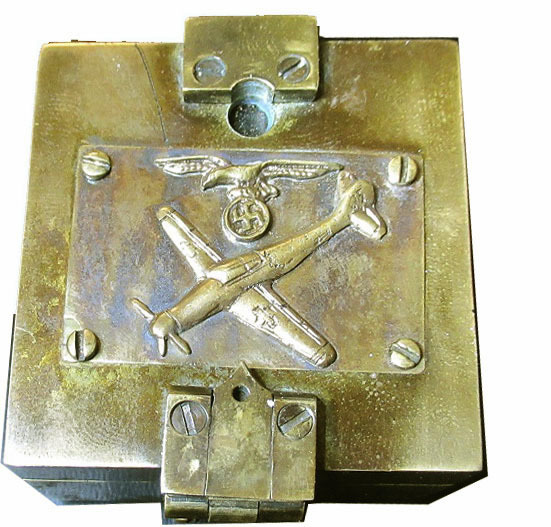 The screwed-on plate on the lid depicts a nazi eagle and a fighter aircraft. 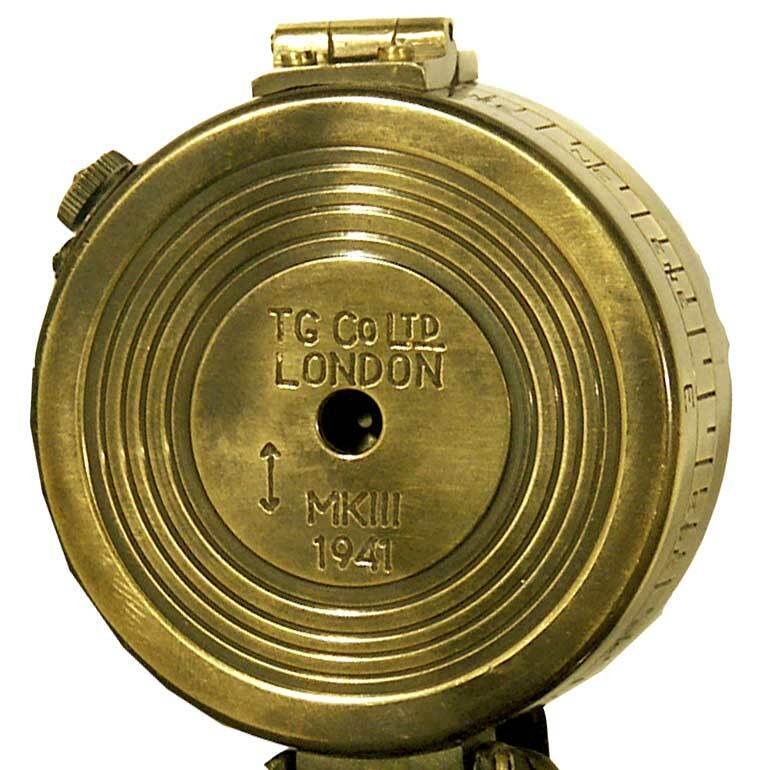 Note the strange label with the name of the camera manufacturer LEICA on the compass's base plate. 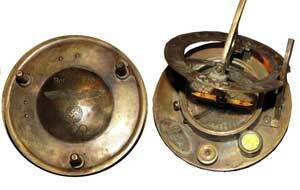 Fake MkIII British marching compass (see above and T.G. 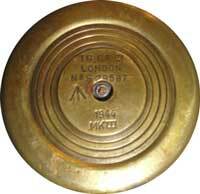 Co. Ltd London ) with nazi symbols additions on the prism and sticker on the reverse. 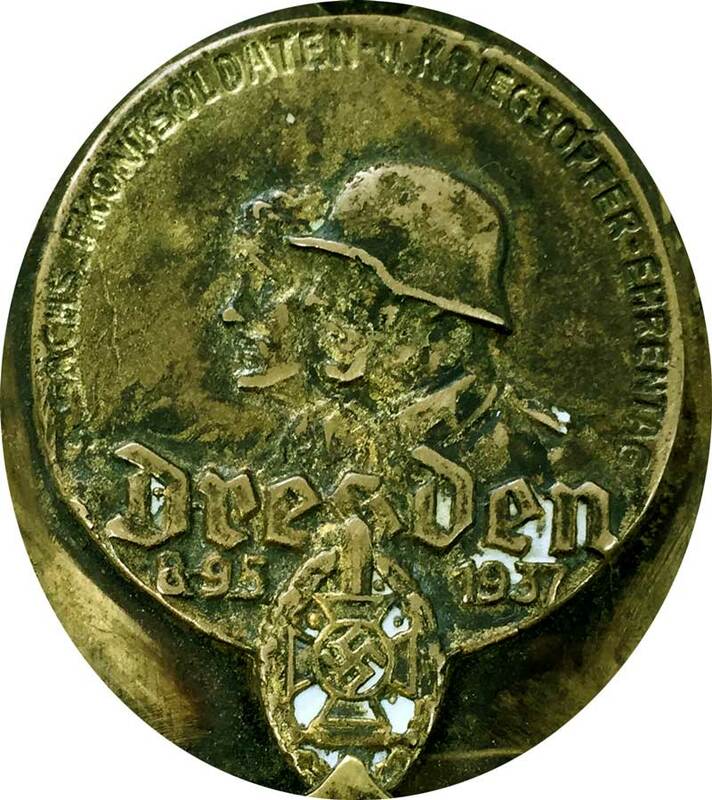 Note the misspelled name of Germany: DEUTSCHAND (w/o L"). 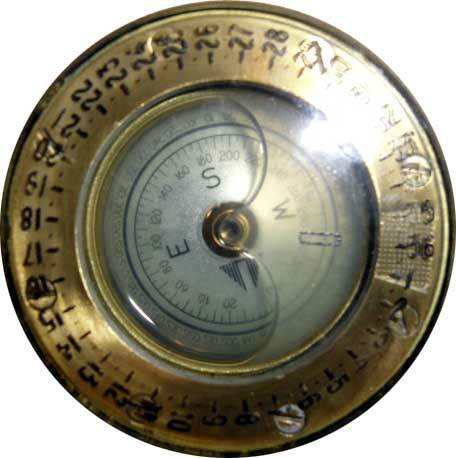 The wording has no typos but the compass is also the same as the modern one with English cardinals above. Several major museums have confirmed that contemporary reproductions are currently available - usually on eBay. These are in the best case only worthless museum gift shop items and not original antique items. 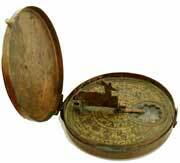 You can easily recognize them by the gross engraving of the latitudes (40-50-60) on the gnomon's adjustable blade and the scratch after the city name "Venis' 45 ". Send us pictures if you are unsure. Moreover, items bearing the name Nicholas DION are being offered. This is not a double typo: this maker never existed. 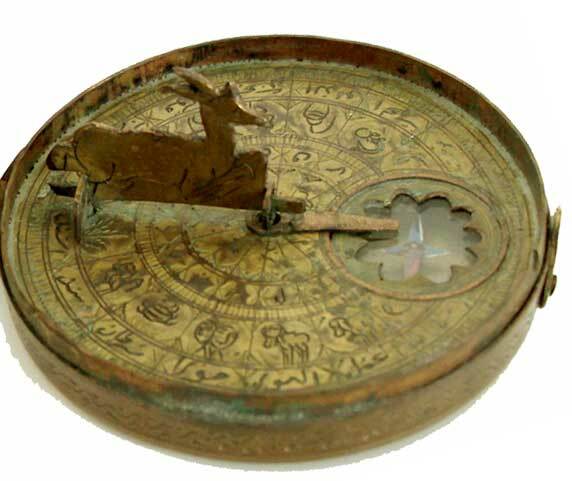 These iteme look like Butterfield-type sundials but feature no hours chapter on which the animal-shaped gnomon's shadow would point. Moreover, zodiac signs engraved in a circle on the face suggest it was rather intended for an astrological use. A freely rotating pointer is attached at the center of the face where the animal-shaped gnomon folds. 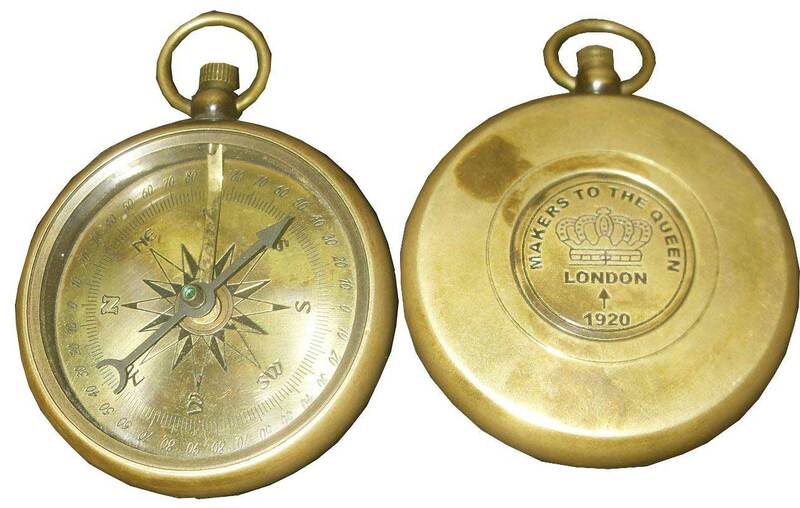 Most items offered are only replicas like this one (compare to the probably genuine instr. 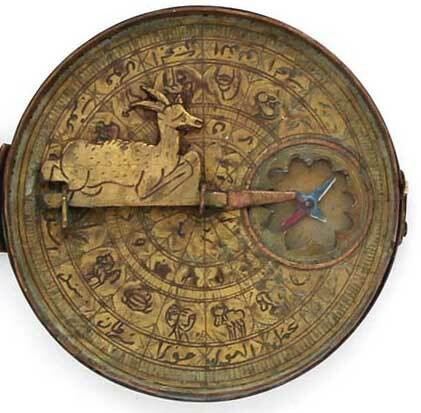 displayed in the department RELIGION / ISLAM / Astrology). 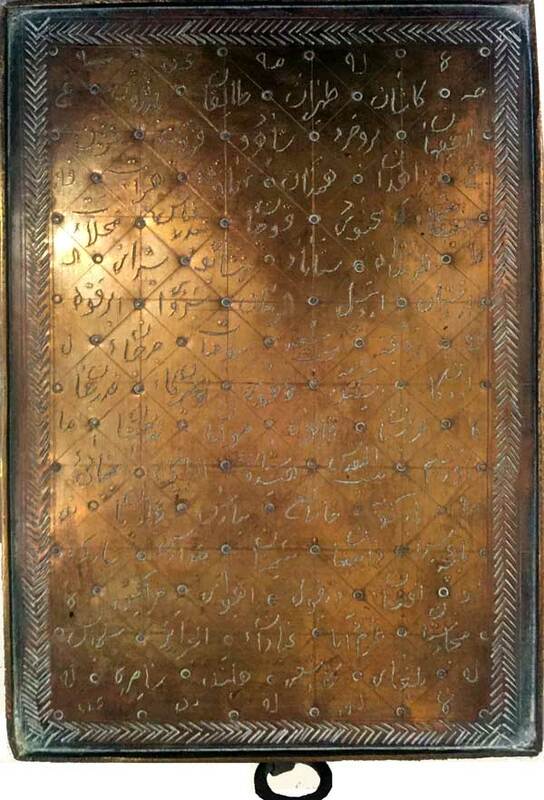 Rear face engraved with words which have no meaning in Arabic. They might be magic ones, which no one can understand. Click on the picture above for an enlarged view of all faces. 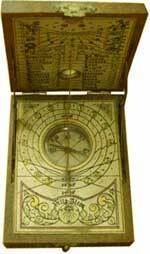 - The base only features the lacquered wooden case. 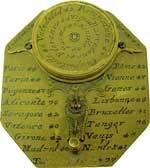 This item is a replica of a 18th C. Spanish sun watch. It is signed by VILLA ALCOR which was a Spanish manufacturer VILLALCOR SL (address Calle Madrid s/n, 28607 El Alamo, Spain) and existed probably 1985-2005. Villalcor was bought out and sold to Hemisferium (created 2005). The city names are in Spanish (example: Venecia for Venice which would be Venezia in Italian) but the cardinal points are indicated in English (W for West instead of O for Oeste in Spanish - see Miscellaneous / Cardinal Points) which makes no sense at all! 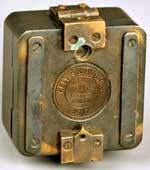 The two barrel lid hinges on back side instead of the earlier snipe hinges and the front snap lock are signs of modern production. 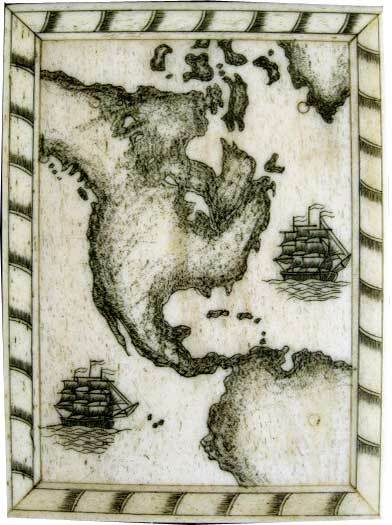 The lid's upper side features a beautiful modern map of North America, a part of South America and two three-masted sail ships. 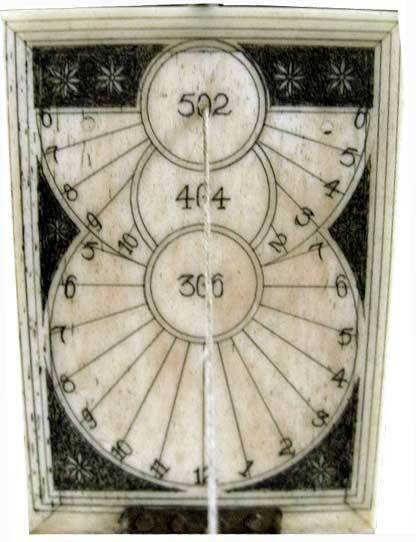 Sundial divisions inside the lid: double sundial with three latitudes (502 = 50° 2'). - Dimensions (closed): 3 1/2¨ x 2 1/2¨ x 3/4¨ approx. 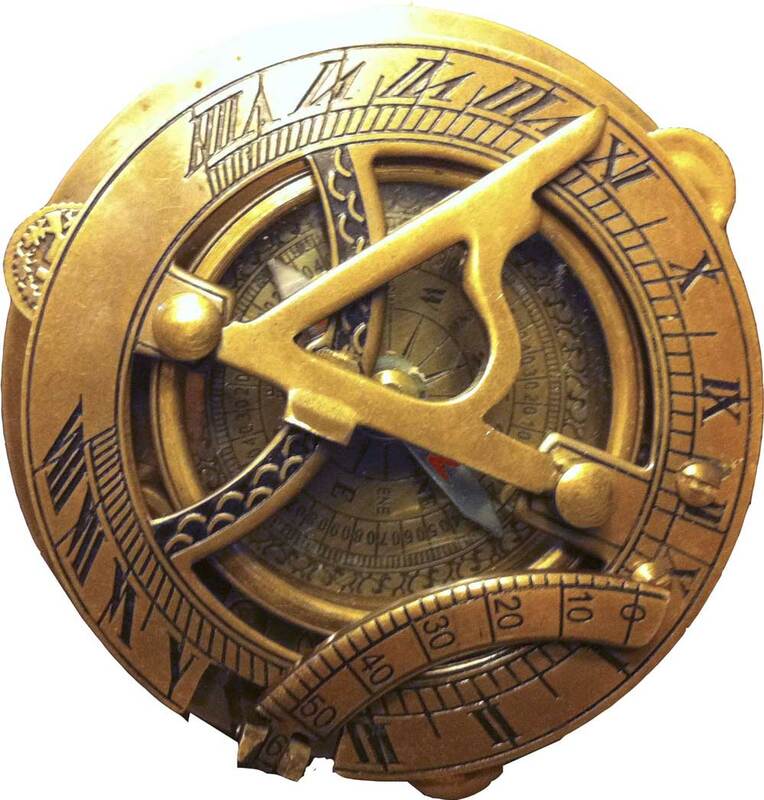 NOTE: Replica of a semi antique sundial. The magnetic needle looks like the old original ones. 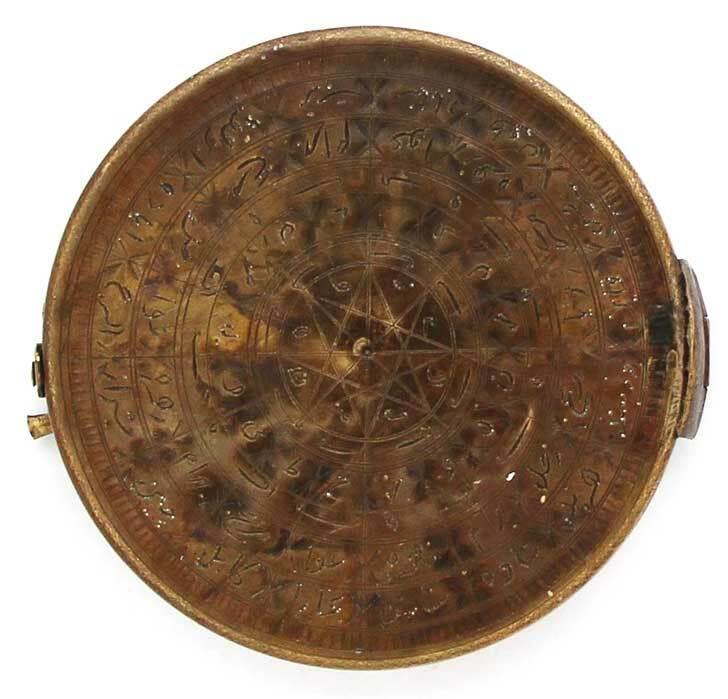 Only, the compass' cylindrical bowl is a little too large for the casing (there is not enough room for the roman figure VIII on the left rim, resp. 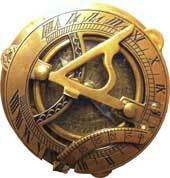 the IIII on the right side) and the rose, divisions and figures printed on the dial look far too modern. 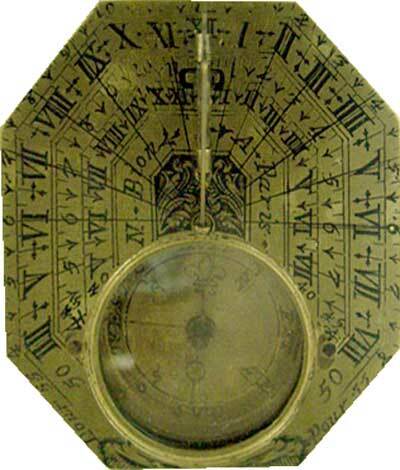 Moreover, the islands located North of Canada were discovered & surveyed during the 19th/20th C.
Replica of a Chinese sundial probably made in India by an artist (forger?) who didn't master Chinese calligraphy. 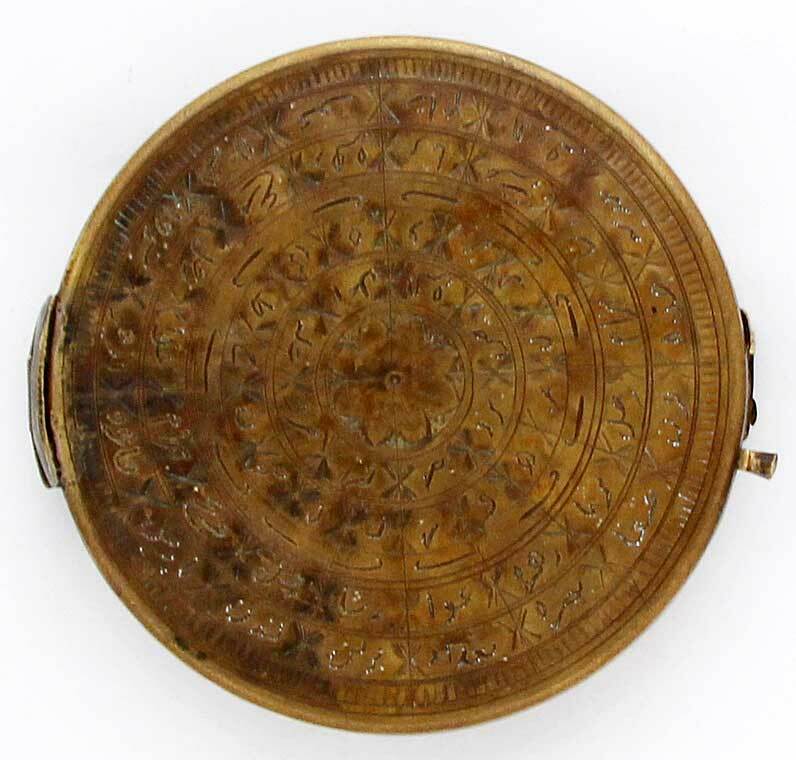 The wooden boards are also in too good condition to be antique. 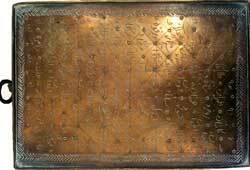 - small picture, bottom right: the same character in the classical handwriting on an antique item. 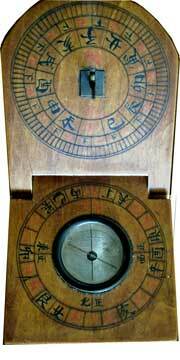 (See also category Sundials, China). User's Instructions: This instrument must be laid flat in fully opened position. 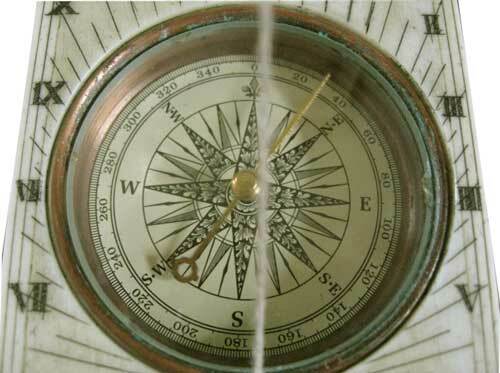 The compass's North mark (sign bei) is located below the compass capsule in the picture at left. The user thus stands looking South. The rising sun being in the upper left corner at 7-9 a.m., the stylus's shadow will fall on the character described above. - a fancy date (1920) which doesn't correspond to the information MAKERS OF THE QUEEN since in those years a KING reigned, George V, from 1910-1936 and there is no maker's name !